Donald Trump is not a politician. This is not news to anyone, or at least should not be, but people continue to be surprised when he doesn’t act like one. In the surprising and chaotic 2016 election, many rallied to Trump precisely because he was not and did not act like a politician. So many had become tired of those who say one thing and do another, promise the world then make excuses, or any other number of disappointments. Enough were ready to try something radical: elect a non-politician, someone who had never held public office, to the highest office in the land. For those who know the history of our country we know that many of those who wrote the Constitution wanted non-politicians to be our elected leaders. Life-long politics was not something most would have wanted to do. It didn’t pay enough. It truly was government service. The Framers wanted people with varied backgrounds and recent connections to everyday life to choose to run for office, or even to be persuaded to do so, because their talents were needed. Of course, elected officials are politicians, whether they want to be or not, but their actions can be more or less polished depending on their backgrounds. 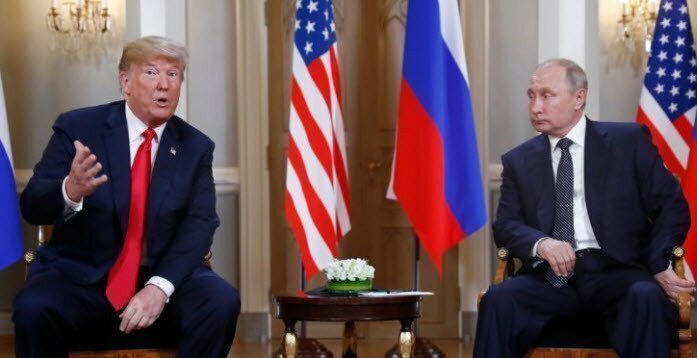 After the recent Helsinki, Finland news conference featuring Trump and Putin, and Trump’s admittedly poor and rambling response to a question, I was again reminded that we elected a non-politician. Many times President Trump has been less polished and measured in his communications then we have come to expect from a president. I actually think this is a good thing, even though I don’t agree with some of the things he is says. I think that politicians from both sides of the aisle, speaking generally, have been trying very hard to drive this country into the ground all in the name of doing what is popular and easy to hear, instead of leading. I believe we need more non-politicians with strong convictions to run for office. Having said that, I am very concerned that given the current national media bias, those same non-politicians who may have been thinking about running for office will do something different. For those of a conservative viewpoint, they may choose not to run. For those with a liberal or progressive viewpoint, they may choose TO run. Let’s pretend that a 45 year old small business owner, with her kids almost grown, is tired of sitting on the sidelines complaining, and wants to get in the mix for a short while to help preserve what she sees as the most important aspects of our country for her children. Her viewpoints are conservative. She sees how the current media is treating President Trump and others with her viewpoint, searching every word ever said, old or new, looking for something that can be construed and twisted to make a disparaging headline. Right or wrong doesn’t matter. Objective reporting of the news happens rarely. Ideology and opinion are very thinly disguised as news. Family members are verbally tortured, even physically followed around while they go about their business. Peace is removed from their lives. Now let’s pretend that this same person, with the same qualifications, has a liberal or progressive viewpoint. This person can count on a very different treatment from the media. Misspoken words from the past or current, are either ignored or mentioned in passing. She would be largely supported by most of the news media, especially if her stated goal was to fight or undo anything that is of a conservative nature. Are you concerned about this disparity in treatment? You should be. This should terrify you, no matter your opinions or ideology. Normal citizens must not be fearful of having their and their families’ lives destroyed if they choose to run for public office. Our republic depends on good people from all viewpoints serving as elected officials. There needs to be a return to objective and real news reporting. It should be very difficult to tell what the politics of any reporter or anchor may be. Without a return to civility and respect among ourselves, and how others are treated, we can expect divisions to increase. We need more non-politicians to run for office, stay in for a short period of time, then get out. And, we should not be surprised when non-politicians don’t act like polished politicians. We should respectfully agree or disagree, and not watch for every opportunity to destroy them. We should give them the benefit of the doubt when they say something that doesn’t make sense. In short, we should treat them as we would wish to be treated. For clarity, this does not include hounding your rivals in restaurants while they are trying to have a family dinner, or camping out on their front lawn. Those are the tactics of juvenile bullies throwing a tantrum.